For a medical problem that is as common as vertigo, clinicians are still remarkably uninformed about how to diagnose and treat it. It is still very common for doctors to prescribe a range of drugs that often makes the vertigo worse. These include diuretics/water tablets, antihistamines and anti-cholergenics, all of which cause dizziness and drowsiness, along with anti-anxiety drugs like Valium and Xanax, which have a similar. But a new study in a Russian journal called Zhurnal nevrologii i psikhiatrii imeni SS Korsakova has shown that non-drug treatments are safer and more effective than drug treatments for combatting vertigo. 599 subjects were all diagnosed with vertigo after first being misdiagnosed as suffering from a variety of conditions which included: clogged arteries at the back of the brain that provided the brain with blood (vertebrobasilar insufficiency), brain damage because of high blood pressure or clogged arteries (encephalopathy), cervical spondyloarthrosis (a condition that damages the joints and vertebrae in the neck), or damage to the autonomic nervous system (autonomic dystonia). Once they were all properly assessed, 39% of the group was diagnosed with Benign paroxysmal positional vertigo (BPPV), 29% with phobic postural vertigo (PPV), 14% with Ménière’s disease, 11% with vestibular neuritis (infection of the inner ear nerves), and 5% with multisensory dizziness in the elderly. BPPV is the most common and the easiest to treat, with a success rate of 90.2% with the first treatment, and 100% with the second treatments. The treatment for BPPV is a relatively simple series of head movements that clear these semicircular canals in your inner ear of the calcium crystals that have accidentally become trapped in them. 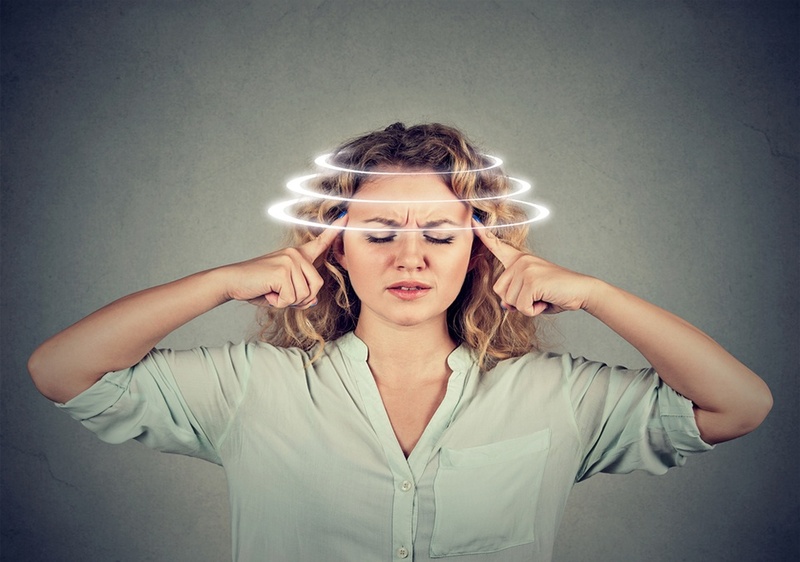 The other conditions that cause vertigo had to be treated via rehabilitation programs specifically designed for each patient. 1. Balance retraining, whereby your vertigo is deliberately triggered to teach your brain to interpret the scrambled signals as harmless. 2. Vision stability training, a process similar to balance retraining but concentrated on the visual interpretations of your surroundings. 3. Posture training, whereby you learn to eliminate unnecessary head movements that trigger your attacks. 4. General fitness and strength training to prevent your body from collapsing when attacks occur. These programs were successful in alleviating the symptoms in all the study subjects with the other conditions, along with eliminating vertigo attacks in the majority of them.